Thank you for requesting a catalog. 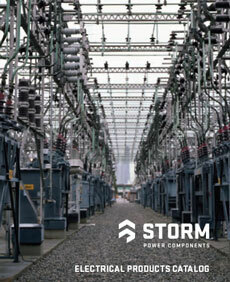 The Storm Pro Catalog is your one stop resource for Industrial-strength and professional-grade electrical parts in a variety of options along with a wide selection of the brands you trust. You'll get Responsive Service and assistance with project specifications from experienced field engineers and electrical professionals. Working with Team Storm you'll reduce lead times because we stock more than a million pounds of wholesale copper everyday and fabricate our products in-house, right here in the USA. Fast delivery to the facility, office or job site The Storm Pro Catalog is the perfect job site assistant to get you the part you need faster in hand.